The 27th May 2016, MedSpring organizes in Valenzano (Italy), hosted by CIHEAM-IAMB, in collaboration with MERID, MHESR, ANIMA, MCST and DLR, the event: “3rd Euro-Mediterranean Brokerage and Venturing Event on Research and Innovation”. The Brokerage Event will be a regional Euro-Mediterranean event where companies, organizations, young entrepreneurs and researchers from different EU and Mediterranean countries participate with the aim of networking and finding potential collaborators and partners. More than 60 participants (young entrepreneurs/researchers, start-ups, Ministries and researcher institutions, tech-driven enterprises, SMEs and other relevant private/public potential investors/networks) from Euro-Mediterranean Countries will meet in Valenzano (under the CIHEAM-IAMB premises) to share their interest and offers for cooperation as well as to get funding opportunities. Among them, more than 25 young entrepreneurs and researchers coming from 8 Mediterranean Countries (Egypt, Iran, Iraq, Israel, Italy, Jordan, Morocco, Tunisia) are invited to present their innovative ideas. Click here to find out the selected ideas! 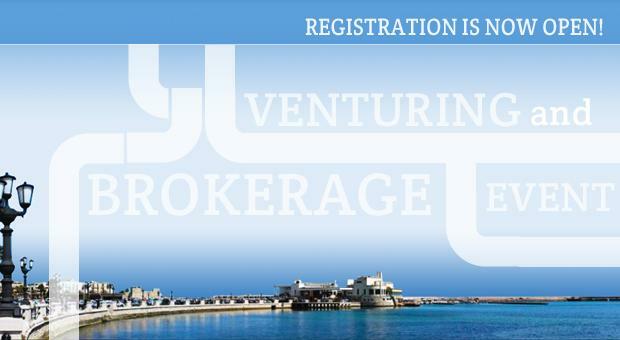 From today it is possible to register for the event on the brokerage platform. We invite potential investors or people/organizations interested in support/collaborate with those idea-carriers to give a look, after registration on the B2B Platform, to their project profiles, here. From 2 to 23 May it will be possible to book bi-lateral meetings with selected participants of your choice. More information, as well as the event agenda are available on MedSpring website; the event programme is available here. For updates and further information, follow us on Twitter, Facebook, or LinkedIn or contact the brokerage secretariat: brokerage@medspring.eu.